Foam presents the artwork of the Dutch duo Jaya Pelupessy (1989) and Felix van Dam (1986) in Foam 3h. 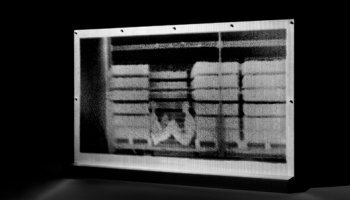 Fascinated by how photography constructs images, they developed a new technique with a camera that combines photography with silkscreen printing. 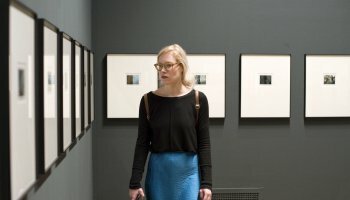 Alongside the results of their experiments – prints that oscillate between silkscreen print and photograph and visually recall the history of photography – they present abstracted images that picture the working process. 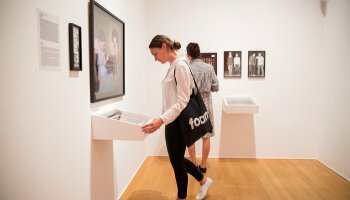 The exhibition Traces of the Familiar illustrates the quest Pelupessy and Van Dam embarked upon to trace known techniques and revisit the origins of photography in order to arrive at new possibilities for the medium. The artists regard the steps in their explorations as equally important to the final product. Thus emphasis lies on the process of construction, where the suggestion of a narrative begins. This suggestion is not only conveyed in the stylistic images of tools utilized for the technique, but also in the final prints that unveil their structure in layers. Motivated by enthusiastic curiosity, Pelupessy and Van Dam make an inquiry into the structures of photography, and the fictionalising character the medium possesses in its relationship to reality. The exhibition reflects on how objects are translated by the camera, presenting them like archaeological findings. Simultaneously, the artwork reconsiders the original bearer of photography by investigating different ways of presentation. Traces of the Familiar is a kaleidoscopic experience of a new kind of photography in which every image carries a trace of reality, yet never represents it entirely.